We have a small herd of Babydoll sheep which we are breeding. Adult Babydoll sheep are 430mm - 500mm at the shoulder. This makes them much easier to handle than many other farm animals. Their small size is less intimidating for owners and children. 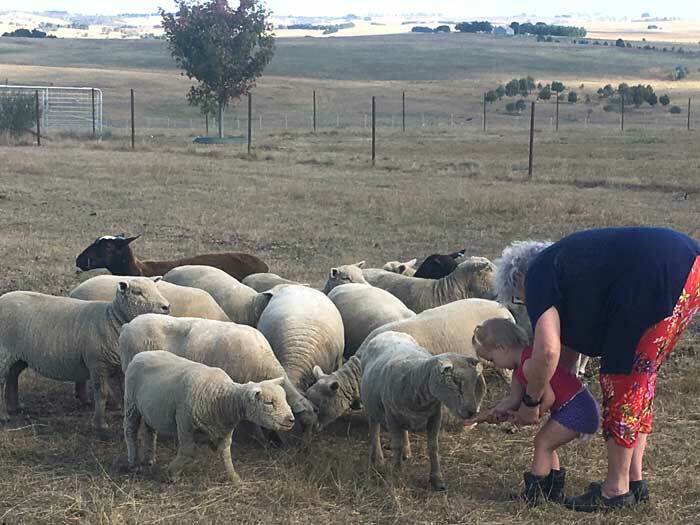 The recent trend in Australia toward smaller farms and miniature breeds gives the Babydolls an important place in the rural lifestyle. They are fuel-efficient lawn mowers and will keep any enclosed areas looking trimmed and tidy. The Southdown is generally credited with being one of the oldest breeds of sheep, and is the grand ancestor of the other Down breeds. They originated in the South Downs of Sussex county, England. In their unimproved state prior to the end of the 18th century, they had several qualities that were not combined within any other breed in England. They produced a relatively good fleece of fine, high priced wool, their hindquarters were heavier than the front (providing flavourful meat), and they could thrive on low nutritional land. By the late 1790s, the improved Southdowns had become the most important breed in England. They were infused into every meat breed in Britain, and they contributed to the foundation stock of other down breeds: Suffolk, Hampshire, Oxford, Dorset Down, and Shropshire. 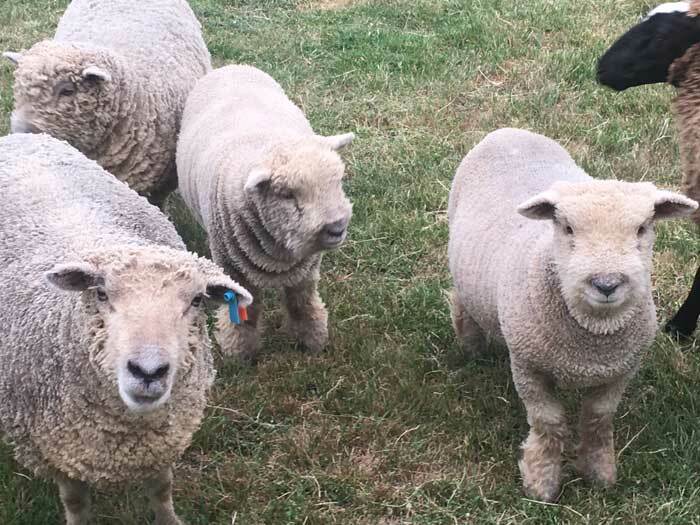 Babydoll Rams for sale; October, 2017 drop $650 plus GST while stocks last. Babydoll Wethers for sale; October,2017 drop $280 plus GST while stocks last.